Vehicle finance option for bad credit applicants. 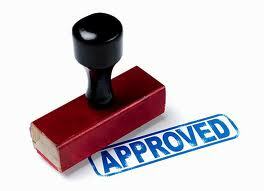 If you are blacklisted or have bad credit then you will know just how challenging it can be to obtain vehicle finance. There are various loan companies that offer bad credit car loans to individuals in this situation, but very often the interest rates are high and you might enter into a contract that is not ideal for your financial situation out of sheer desperation. If it is starting to feel like you may never get behind the wheel of your own vehicle, it’s time to introduce you to an alternative option. Applying for a bad credit car loan with other financial lenders is not the solution. Why not elect to rent your vehicle until you own it. Yes, this means you will earn your vehicle by making monthly instalments, much like you would to the bank if you were supplied with a vehicle loan, except the loan model is quite different. This particular loan allows you to earn payments towards your chosen vehicle for each month you rent the car from us. What’s more, there are additional perks included such as cash back amounts that you can use on yourself or the car, low cost insurance options, road side assistance and vehicle tracking and immobiliser. Under these great circumstances, why wouldn’t you want to rent to own your second hand vehicle? Be permanently employed and have no prior history or outstanding payments with Earn-a-Car. Have R15 000 or 15% of the value of the vehicle you wish to purchase, as a deposit. Be able to provide us with proof of employment, 3 months latest bank statements and proof of physical address. If you would like to earn your own vehicle in just 3 years, contact us for information on our vehicle finance packages at Earn-a-Car today.